If recent reports in the New York Times are to be believed, the Obama administration just got serious about the political realities gripping Syria and Iraq. Up to this point, the US has sought, for reasons honorable and crass and geopolitical and humanitarian, to have its cake and eat it too. In the hope of avoiding the choice between having to side with Assad’s regime in Syria or acquiesce to ISIS’s expanding domain in Syria and Iraq, the US government thought, or wanted to think, that it could help defeat both Assad and ISIS through the magic bullet of the moderate Syrian opposition. The dream of much of the American foreign policy establishment was that the US could train, arm, and direct Syrian moderates to fight ISIS and Assad. As fledgling liberal democrats, the moderate opposition that was embodied in the Free Syrian Army would then recruit the bulk of Syria’s Sunni majority to the cause of pluralist, moderate, and democratic values. Once buttressed by the US, the Free Syrian Army was supposed to afford Sunnis an alternative to ISIS in resisting Assad’s brutality. This policy faced any number of practical problems. How were the arms, once they were delivered to moderates, to be kept from ISIS, which would have few obstacles when it came to taking them away from those less steeped in the ways of civil wars? How was the US to guarantee the moderation, loyalty, and inclusiveness of the recipients of American arms and of secularism or liberalism? Why would the Free Syrian Army, even if it did enter the civil war as a moderate organization, necessarily exit as one? Why wouldn’t the crucible of the war radicalize them? Most importantly, why would this army, which still exists mostly on paper, be prepared to defeat both ISIS and the Assad regime, which are experienced, battle-hardened, ruthless, and desperate? The actual prospects of the moderate opposition on the battlefield might have been dismal, but the mirage that it could prevail against America’s enemies served valuable purposes. As far as Washington was concerned, the mirage affirmed the viability of American values in war-torn Syria and Iraq. The mirage pleased Turkey, Saudi Arabia, and other Sunni sheikdoms that were determined to defeat Assad and his Shiite allies in Iran, since it dissuaded the US from colluding with Assad against ISIS. Most of all, the mirage allowed the US to evade facing what would follow from recognizing that the moderate opposition could not defeat either the regime or ISIS, and still less both at once. The mirage has been exposed by events on the ground in Syria (and Iraq), as President Obama’s change in policy makes clear. Fearing chaos more than Assad, the NYT reports that the US “shares skies with Syrian jets,” “assures” Assad “that Syria’s military is not their target,” and prepares Syrian insurgents to fight ISIS, not the government. 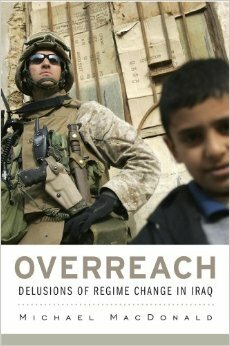 The reason for this shift in US policy is that the last thing Obama wants is for ISIS to prevail – and for ISIS’s caliphate to survive is for ISIS to prevail – and to continue beheading hostages, enslaving Yazidi women, providing a focus for disaffected young Muslims throughout the region and the world, and menacing American allies in the region. But the next-to-last thing Obama wants is to commit American ground troops in Syria (and Iraq) to prevent an ISIS victory. American troops in Syria would fracture his domestic coalition, betray the commitments that got him elected, and embroil the US indefinitely in what he regards as an unsolvable conflict. Consequently, Obama is resorting to the third-to-last thing he wants. For the moment, he’s throwing in his lot with Assad’s regime, because defeating ISIS entails effective troops on the ground, and Assad can provide them. The alternatives to Assad are either insufficient to the task (the Free Syrian Army), or are enemies of Turkey (the Kurds) or Saudi Arabia (the Iranian-sponsored Shiite militias). Choosing Assad as the means to counter ISIS is an awful choice. It’s morally compromising and it puts the American people on the side of a tyrant who draws support from a combination of violence, patronage, and the fears of Syria’s Alawite, Shiite, and Christian minorities. Assad’s regime has deployed terrible violence against its country’s Sunni majority, and has reduced Syrian politics to sectarianism, forcing Syrians to retreat into their sectarian groups if they are to have any hope of survival. By repressing movements that appealed to Syrians of all communities, and by attacking Sunnis as Sunnis, the regime has destroyed grounds for common loyalties and has forced all of Syria’s groups to seek safety among their “own kind.” So in colluding with Assad versus ISIS, the US is rewarding Assad’s strategies of polarization. As punishment, the US will pay in lives, money, credibility, and moral standing. Obama’s decision is not just, but it is necessary. It does its best to cope with the on-going reverberations of the invasion of Iraq over a decade ago. Washington wanted to change regimes throughout the region. This outcome is what that means.